Revlite Laser Facial is a gentle skin rejuvenation treatment that uses patented Photo-Acoustic Technology Pulse (PTP) energy for quick full-face treatment with no downtime and minimal discomfort. 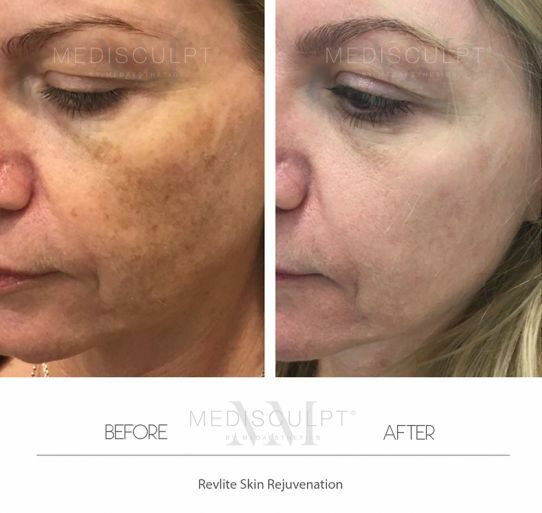 At Medaesthetics™, Revlite is our workhorse laser for treating the most diverse range of skin conditions. Revlite Laser Facial is an integral part of our preventative Anti-ageing program here at Medaesthetics. It's a 15-minute treatment which can be repeated once every eight to twelve weeks.